rosie is back for more :: tea party time. 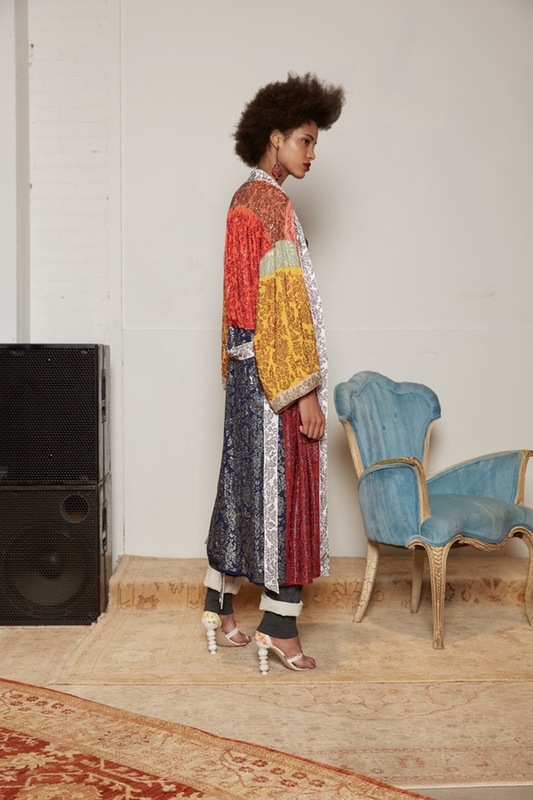 I KNOW that I can’t seem to shut up about Rosie Assoulin and Rachel Comey, but I promise it is all for good reason. 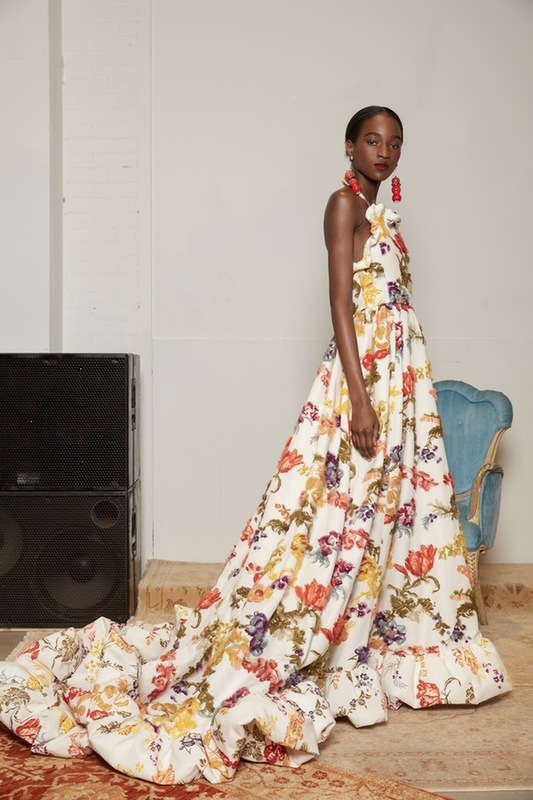 Initially, this post was going to be dedicated to Coach 1941’s Fall show, but it will have to wait because Rosie has dropped my jaw to the floor once again and surpassed any prairie dreams ( actually a literal dream I had last night ). 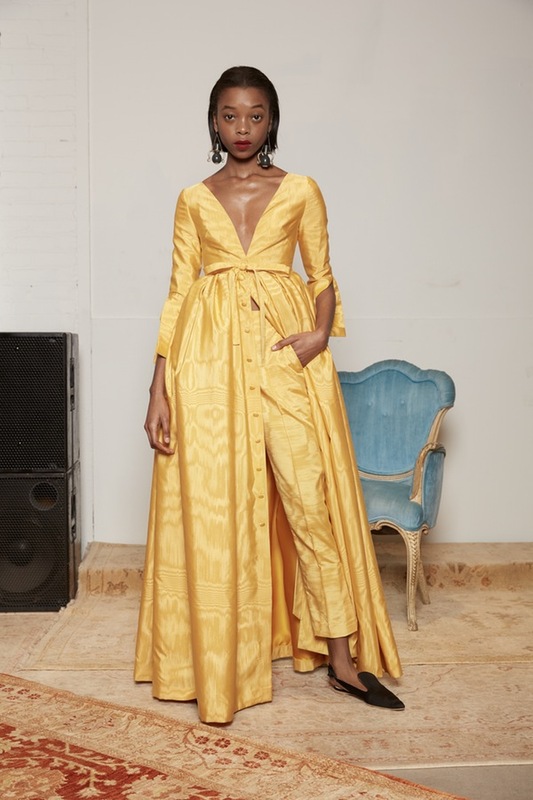 The most encouraging and insightful thing about all of Rosie Assoulin’s collections is the deep knowledge and assurance she must have of herself. This is a woman who knows what she likes, understands what she’s best at, and riffs on similar concepts over and over while adding a new touch here and there to recapture our inquisitive and constantly more-seeking souls. Along with knowing herself, she’s clearly got a firm grasp on women in general too; looking for pieces that are easy to wear yet add a touch of glamour and sophistication where needed to pep up the day ( including our favourite – ruffles! ). A lady of leisure or a fast-paced woman on the go, each look equally satisfies both of the dream personas. Rarely do I take notice of footwear at shows; if they’re crazy and out there I may scan my eyes across them, but other than that, it’s a background complimenting the pieces. Thankfully I read ahead about Rosie’s new shoe collection. I knew to watch out. Adding to the homely, wearable vibe are these ornamental pieces of foot-fun, with heels mimicking the legs of chairs and tables. Those curved wooden silhouettes ( another appreciation of the female form? ). They must be comfortable too, basically sitting down while standing – #perfection. And of course the earrings too. Little replicas of beautiful pottery dangling from the model’s ears, bringing a little of the bazaar into everyday life. Don a Persian rug as a wrap-around and you are set. A walking, talking, easy-going, movable home. The number one thing to take away, though – Rosie, please invite me to your next tea party. I want to feast my eyes on those stunning creations ( IRL – required tactile satisfaction ) and my stomach on those homemade Syrian cookies. Such a power woman – baking, designing, transforming, inspiring. 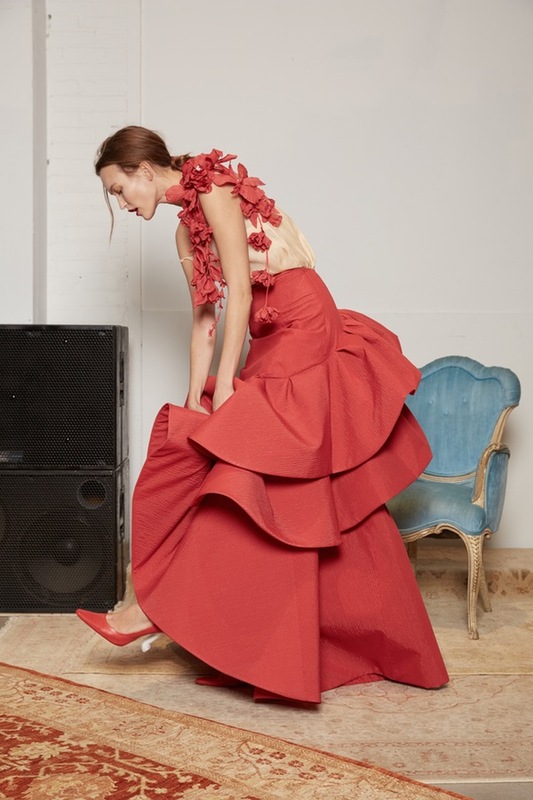 Previous Post fashion week dramas :: more ruffles. Next Post fashion ( and the world ) through the eyes of a child.